This page is currently being worked on. I’m in the process of merging multiple pages on multiple sites so it will be a jumbled mess in the meantime and photos may not display. This message will be removed when I am done. Thanks for your patience. 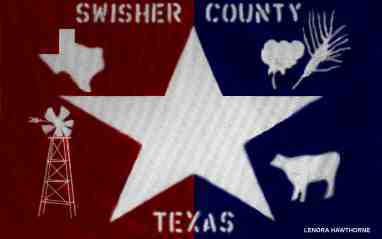 Swisher County was formed from Young and Bexar territories August 21, 1876 and organized July 17, 1890. It was named in honor of James Gibson SWISHER (1794-1864). Neither James nor his family had ever lived in the territory which became Swisher County. The county seat is Tulia, Texas. Click on photo to read the marker. SWISHER COUNTY. Swisher County is in the transition area between the South Plains and the Panhandle, bordered on the east by Briscoe County, on the south by Hale and Floyd counties, on the west by Castro County, and on the north by Randall and Armstrong counties. The center of the county lies at 34°33′ north latitude and 100°47′ west longitude. Tulia, the county seat, is near the center of the county, seventy miles north of Lubbock and forty-five miles south of Amarillo. The area was named for James Gibson Swisher, a veteran of the Texas Revolution. Swisher County occupies 896 square miles of level plains broken only by Tule Creek and its three branches, North, Middle, and South Tule draws. These intermittent streams have no appreciable effect on the terrain until they converge into Tule Creek in the eastern part of the county. In the 1940s North Tule Draw was dammed to impound a small earthen reservoir; in 1974 Mackenzie Dam was completed on Tule Creek in the eastern part of the county, and Mackenzie Reservoir began to form. This lake, made to provide a municipal water supply for Silverton, Lockney, Tulia, and Floydada, became a major recreational facility as well. The soils of Swisher County range from alluvial silts to sandy types mixed with disintegrated rock to form an easily worked earth rich in humus. This soil supports an abundant variety of native grasses as well as wheat, corn, grain sorghum, and cotton crops. The county ranges in elevation from 3,000 to 3,600 feet above sea level, averages 18.94 inches of rain per year, and has an annual growing season averaging 205 days. The average minimum temperature is 24° F in January, and the average maximum is 93° in July. The coldest temperature ever recorded in Texas, -23° F, occurred in Tulia on February 12, 1899. The area that is now Swisher County was long the homeland of Apachean cultures, who were displaced by the more warlike Comanches by around 1700. The Comanches ruled the High Plainsqv until they were crushed by the United States Army in the Red River War of 1874. During this war army troops crisscrossed Swisher County in pursuit of the Comanches, but no significant combat occurred in the county. However, after the battle of Palo Duro Canyonqv in late September 1874, the power of the Comanches was broken, and by the mid-1870s buffalo hunters were in the county exterminating the herds. In 1876 the Texas state legislature carved Swisher County from lands previously assigned to the Young and Bexar districts. In 1880 four people were reported living in the area. Ranching came to the county as the buffalo were eliminated. Swisher County remained largely unsettled until the JA Ranch of Charles Goodnight expanded into the county in 1883. This activity led to Goodnight’s Tule Ranch, which occupied the entire eastern part of the county. By the late 1880s the scattered residents of the county perceived a need for a local government, and a petition for organization was circulated in June 1890. An election held on July 17 formally organized the county with Tulia, a tiny settlement, chosen as county seat. Swisher County remained wholly a ranching county almost until the beginning of the twentieth century; as late as 1890 there were only 535 “improved” acres on the county’s seventeen ranches, and only 100 people lived in the area. By the late 1890s, however, a trickle of settlers began to take up school lands and begin stock-farming operations. The availability of good underground water at shallow depths meant that windmills could make any stock-farmer successful. By 1900 there were 186 ranches and farms in the area, and the population had increased to 1,227. More than 34,000 cattle were reported in the county that year. Few crops were grown in the area at that time—only twenty-five acres were planted in cotton—but farming grew steadily during the early twentieth century, especially after the introduction of rail service to the area. A Santa Fe Railroad branch line from Amarillo reached Swisher County in 1906 and later connected the county to Plainview in Hale County. When the line was completed to Lubbock in 1910, Tulia and Swisher County were on a major north-south rail line. Railroad construction also led to the establishment of two Swisher County towns, Happy and Kress, which became new population centers on the railroad. By tying the area to national markets and easing immigration, the new railroad encouraged economic development. By 1910 there were 510 farms and ranches in the county, and crop farming had become firmly established; almost 11,000 acres of sorghum, 2,700 acres of corn, and 4,200 acres of wheat was planted that year. By 1920, when there were 572 farms and ranches, 60,000 acres was planted in wheat, the county’s most important crop, and 35,000 acres was devoted to sorghum. Poultry raising was also becoming a significant facet of the local economy. More than 44,000 chickens were reported in 1920, and local farmers sold 178,500 eggs. Meanwhile, cattle had declined both in numbers and in relative importance; about 26,200 cattle were reported that year. The county population grew from 4,012 in 1910 to 4,388 in 1920. These trends continued into the 1920s. While the number of cattle in the county declined to 20,600 between 1920 and 1930, the number of acres under cultivation tripled. By 1930, 194,000 acres was planted in wheat, still the biggest crop; production of sorghum, cotton, and other crops also expanded. By 1930 there were 1,021 farms and ranches in the county, and the population had increased to 7,343. As the economy and population grew, so did the need for a useful road system. This was especially true after the automobile proved itself in the years before World War I. Until nearly 1920 roads in Swisher County consisted of crude paths scraped in the earth. In 1920 the Ozark Trail, a highway network from Arkansas and Missouri through Kansas, Oklahoma, Louisiana, and Texas, to New Mexico, came to the plains of Texas. Collingsworth, Childress, Hall, Briscoe, Swisher, Castro, and Parmer counties, along with Curry and Roosevelt counties in New Mexico, cooperated in raising $10,000 in 1920 to erect markers along already existing roads to mark the Ozark Trail from Oklahoma across Texas to New Mexico. The trail, made up of graded and “improved” roads in Texas, eventually evolved into a sophisticated road network. 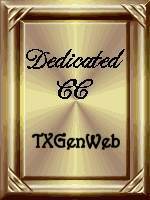 By the mid-1920s Tulia was linked to Nazareth, Dimmitt, and Bovina by State Highway 86, to Canyon and Amarillo by U.S. Highway 385 (now U.S. 87 or Interstate Highway 27), to Silverton by State Highway 80, and to Plainview and Lubbock by U.S. 385. The Great Depression and the Dust Bowl of the 1930s dealt harshly with plains agriculture. Cropland harvested in Swisher County dropped from 268,000 acres in 1930 to 195,000 acres by 1940; wheat production declined significantly, dropping to 113,000 acres. The population dropped to only 6,528 by 1940. The effects of the depression were somewhat alleviated by road work, which provided jobs and improved the county’s road network; these improvements continued into the 1940s. The stimulus of World War II demand and, particularly, the development of large-scale irrigation in the area, led to the revival of the county’s economy. The first successful extensive local use of underground water from the Ogallala formation came in 1936. After World War II this activity increased dramatically; by the 1980s over 225,000 acres in Swisher County were irrigated. During the late 1950s and 1960s many feedlot operations were established to utilize the county’s abundant grain crops and to diversify the local agricultural economy. A comprehensive network of paved farm roads was also constructed during this period to replace the old dirt trails that led from farm to farm. As a result of the agricultural development in the immediate post-war era, the population of the county rose to 8,249 by 1950 and to 10,607 in 1960. Increased mechanization and agricultural consolidation later led to a continuing decline in the population, however, from 10,373 residents in 1970 to 9,723 in 1980 and to 8,133 in 1990. The census counted 8,378 people living in the county in 2000. By the 1990s Swisher County had developed an agricultural economy based on a mix of cotton, wheat, grain sorghum, corn, oats, barley, and soybean production, balanced by cattle, hog, and sheep raising, especially in feedlots. The county produced $150 million per year in agricultural commodities in the early 1980s, with 60 percent of this income from animal raising and finishing in the county’s feedlots. Over 400,000 acres of the county (70 percent) was cultivated in the 1980s, making Swisher County one of the state’s most heavily farmed areas. In 2002 the county had 578 farms and ranches covering 566,429 acres, 69 percent of which were devoted to crops and 30 percent to pasture. In that year farmers and ranchers in the area earned $296,789,000; livestock sales accounted for $265,586,000 of the total. Stocker cattle and feedlots produced most of the county’s agricultural income; crops, including cotton, corn, wheat, and sorghum, were also raised. During the 1980s U.S. 87 was rebuilt as Interstate 27 from Lubbock to Amarillo, and this vital transportation link serves Tulia. In national politics, a majority of the voters of Swisher County supported the Democratic candidate in almost every presidential election between 1892 and 1988. The only exceptions occurred in 1928, when they supported Republican Herbert Hoover; in 1952, when they supported Dwight D. Eisenhower; and in 1972, when the county went to Richard Nixon. In 1992, a plurality of voters supported Democrat Bill Clinton over Republican George Bush and the independent candidate, Ross Perot. After 1996, when Republican Bob Dole won a plurality of the county’s votes, however, the area began to trend more consistently Republican. George W. Bush won solid majorities in the county in 2000 and 2004. The population of the county is concentrated mostly in the small towns, which include Tulia (2000 population, 5,117), the county seat; Happy (647, partly in Randall County); Kress (826); Claytonville (116), and Vigo Park (31). The remainder of the population resides on farms and ranches. BIBLIOGRAPHY: Grace Moran Evans, Swisher County History (Wichita Falls: Nortex, 1977). Swisher County Historical Commission, Windmilling: 101 Years of Swisher County History (Dallas: Taylor, 1978). building — first in the town — was erected in 1962-63. Marker Location: 119 N. Briscoe St.
first church building in 1897 with lumber hauled from Amarillo. Marker Location: 114 N. Floyd Ave.
to the formation of a Methodist fellowship in Happy in 1905.
small, frame church constructed by carpenter J. F. White. remained on a circuit with 4 other congregations until 1919.
the interior, forcing services to be held in the basement. 1942. Recent renovation occurred in 1974, when the Rev. ornate marble counter and back bar. Exterior remodeled 1950.
elevator in this area in 1926, and was joined by Vernon Harman in 1938. Address: 127 SW Main St.
to return to their reservations on foot. Hutchinson, died and was buried on the hill near Louis. Address: Austin & 2nd St.
of Independence, 1836. County seat, Tulia. necessary to build a general health care facility here. and enhanced by memorial windows — now forms a local landmark. Lay leaders and four ministers have come from this congregation. 1907, he held a revival in a tent and organized this church. donations of money and labor to erect a church building. the construction. The church was the town’s second building. For many years it was the only church in a 20-mile radius. materialize, and is still important in the life of the community. miles; Chandler, Okla. 378 miles; Stroud, Okla. 392 miles; Tulsa, Okla.
between the VFW and American Legion halls in Tulia. the deceased can sit while honoring their loved ones. As far as the Tulia Depot goes, I’d have to look into that further as well. I don’t actually live in the area so I’ll have to check with those that do.